In honor of Veterans’ Day, we’re going to run images of selected Connecticut Civil regiments from the Library of Congress this week. 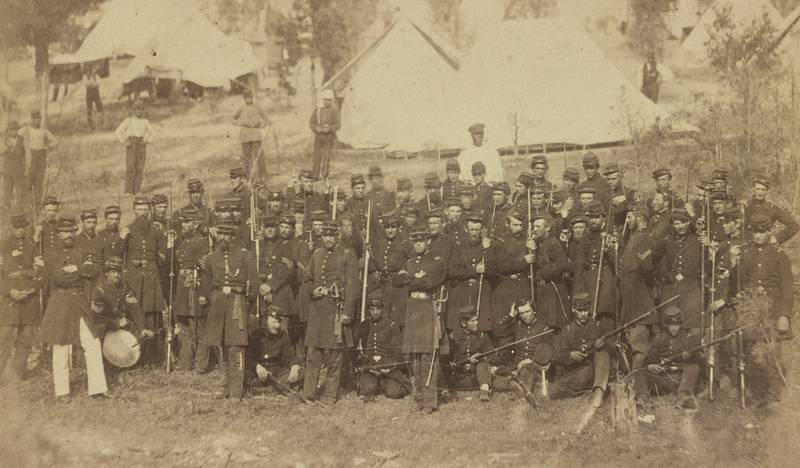 Our first image (which you can click to enlarge) depicts the Third Connecticut Regiment Infantry, which served for three months at the beginning of the Civil War. The regiment left Hartford in May of 1861, and participated in the first Battle of Bull Run in July. The unit mustered out in Hartford in mid-August. Among the regiment’s officers was Douglas Fowler, a Guilford native and Norwalk locksmith who would later re-enlist in the 8th volunteer infantry regiment, and muster out in February 1862, and then he joined the 17th volunteer infantry regiment. Fowler was commanding the 17th when he was killed in Gettysburg during the battle’s first day. The full image, in a variety of resolutions, can be viewed at the Library of Congress site.